If you are like most taxpayers, you feel a strong sense of relief when your tax return has been completed and filed. Of course, that is assuming you do not have a tax bill due to Uncle Sam. But the tax filing season should be more than just a time of year when we determine if you are due a tax refund or if you have to pay extra to the IRS. In fact, the decisions that you make during tax season will often have a lasting effect on whether you will ever have an ability to achieve true financial independence. Here are five tax planning mistakes people make that can have a negative impact on your retirement. As the April 18, 2017 tax filing deadline approaches, there are only a few ways to reduce your taxable income. One method is to verify that you are taking full advantage of every adjustment to gross income, tax deduction, or tax credit that you are eligible for. Accuracy is the important when filing your income tax return. But it is also important to make sure you aren’t missing out on any last-minute tax reduction strategies that can enhance your retirement savings. Health Saving Accounts: Most people don’t realize that you have until April 18, 2017, to make additional HSA contributions for the 2016 tax year if you go directly through your HSA bank. If you are in a high deductible health plan and didn’t contribute up to the maximum allowable amount during 2016, consider increasing your HSA contributions prior to the tax filing deadline. HSAs can provide benefits that go beyond simply lowering your income taxes. Health Savings Accounts provide much-needed protection to help pay for current and future health-related expenses. But if you are in good health you can let your savings grow for use during your retirement years. Since health care expenses are usually a top concern for most retirees this is a great way to supplement your retirement savings plan. In fact, when you reach age 65 you can use HSA funds for non-medical expenses without penalty (Note: Non-health care distributions are taxed as ordinary income). You can contribute up to $3,350 for individual coverage and up to $6,750 for family coverage for 2016. If you are age 55 or older, there is an additional $1,000 catch-up contribution until Medicare eligibility at 65. Just don’t forget to include contributions made by your employer during 2016 along with your contributions tax year when determining how much you can possibly add to your HSA. Contribute to an Individual Retirement Account: You can contribute up to $5,500 (or $6,500 if you turned 50 or older last year) to an IRA prior to the April 18, 2017 tax filing deadline. If you are not covered by a retirement plan through work or the income limits, you may be eligible to deduct your contributions to a traditional IRA. This retirement saving can be invested to grow tax-deferred until withdrawn. Keep in mind that there is a 10 percent penalty for withdrawals made prior to age 59 ½. However, some exceptions exist including withdrawals for qualified education expenses and you may use up to $10,000 over your lifetime for a first-time home purchase. Roth IRAs provide another potential way to save for retirement where the tax savings occur in the future. 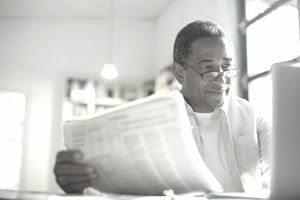 Contributions aren’t tax deductible, but Roth IRA accounts can grow to be tax-free after age 59 ½. In contrast to traditional IRAs, you have the ability to withdraw the sum of your contributions to a Roth IRA (but not any earnings) at any time without tax or penalty. Have you ever made a promise to yourself that you will be better prepared “next year” when it comes to file your income tax return? It is easy to fall into the cycle of good intentions and promise to do a better job at maintaining accurate records and getting organized, or to take advantage of as many tax-saving measures as possible such as making pre-tax contributions to a 401(k) plan, HSA, or flexible spending account. Unfortunately, many people simply do not follow through with that commitment. Filing a tax return as a standalone activity is a reactive event. You are simply reporting what has already happened in the past. Yes, it is extremely important to get things correct! However, the best strategy is to use the filing tax season as an opportunity to proactively plan for future goals like retirement. Not every taxpayer can claim this tax credit. For those who are eligible based on their income, this is a great way to save for retirement while also lowering your tax bill. The amount of Retirement Savers Credit is 50 percent, 20 percent or 10 percent of your retirement plan or IRA contributions up to $2,000 ($4,000 if married filing jointly), depending on your adjusted gross income (reported on your Form 1040 or 1040A). In 2017, the credit is available for married couples filing jointly with adjusted gross income (AGI) under $62,000 and single filers with income below $31,000. Head of household filing status can use the credit as long as the AGI is $45,500 or less. If you ask most financial planning professionals which documents include the greatest insight into the financial life of someone else, most would include IRS Form 1040 near the top of the list. If your tax returns are consistently showing an overpayment to the IRS you may be missing out on a significant retirement planning opportunity. In order to make changes to your withholding, you simply need to complete an updated Form W-4 and provide this form to your employer. You can review the IRS Withholding calculator to estimate the correct withholding for your situation. All you need to complete this withholding calculator are your most recent pay stubs and a copy of your 2016 tax return. Then after you have estimated the correct withholding, you should complete a new Form W-4 and submit this to your payroll department. Always remember the core reason for making changes to your tax withholding is to put your money to work for you as quickly as possible instead of dishing out a zero-interest loan to the government. This strategy can help you start paying down high interest debt faster or increase your 401(k) contributions. Either way you will be helping out your future self during retirement. But it will only work if you apply your increased tax home pay to the right places. Consider automating your savings by increasing 401(k), HSA, and other pre-tax contributions. Numerous tax software programs exist, and doing your own taxes is seemingly easier than ever. If your adjusted gross income is below $64,000, you may use free filing software here. It is important to note that these free filing options usually only cover very basic returns. Taking the do-it-yourself approach to filing your taxes isn’t for everyone. If you have any special situations such as ownership of a small business or own investment real estate the tax code can begin to get even more complex. Other challenging situations include working in multiple states or countries, reporting investment gains or losses in taxable accounts, or filing as a non-US citizen are examples of where a tax professional could make sense. Deciding if it makes sense to use the services of a tax professional is a personal decision. It really all comes down to how confident you feel when it comes to tax and other financial matters. Tax planning is more than just trying to reduce your overall taxes. Income tax planning decisions should always be part of your overall financial life plan. Professional tax preparers can be an important part of your financial team. Not all tax preparers provide proactive tax planning services. Be sure to ask your tax professional if they will help you identify tax saving strategies for the coming year. You should also coordinate tax planning with your financial planning efforts. If you are working with a CPA, CFP®, EA, or other tax professional be sure that they are communicating with your financial planner or other financial advisory team members. In summary, tax season doesn't have to be just a reactive process of filing a return from the previous tax year. Take control of your financial future by incorporating some retirement planning strategies that can also help reduce your future taxable income.